Lisa is a Masters of Science student in the School of Health Sciences for whom the purpose of research is to explore the question of whether arts-based community interventions, such as community-based theatre, may improve the overall health of Indigenous people living in rural, northern British Columbia. More specifically, she is interested in whether locally developed plays expressing experiences of anti-Indigenous racism might ameliorate some of the ill-health effects experienced by people in Saik’uz Territory. Lisa seeks to understand: the experiences of anti-Indigenous racism for those who struggle with wellness in their families, community, or as individuals; the effects of participating in a forum theatre presentation on the wellness of a community that struggles with anti-Indigenous racism; and the potential health and wellness benefits of using forum theatre to explore experiences of anti-Indigenous racism. Lisa has been involved in performing arts, as well as creative writing, for most of her life. In her career as an addictions counsellor and community prevention worker, she has incorporated the arts – writing, painting, collage work, and theatre – into her practice with individuals and in community. 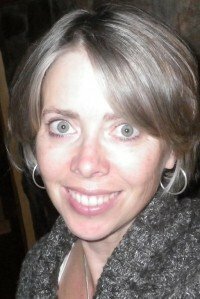 In 2010, Lisa was invited to write and direct an historical play about the history of the people in the Nechako Valley for the Spirit of Vanderhoof Diversity project. The impact this play had on many First Nations participants and audience members inspired her to explore theatre as a means of improving community health in Indigenous populations. Lisa’s accomplishments and ground-breaking work with theatre have been supported through a SSHRC research fellowship under Dr. de Leeuw throughout her studies. She has also received a UNBC Travel grant, CFUW Dr. Alice E. Wilson award, and the Yvette and Dollard Bock Health Science award. Above all these accomplishments, however, stands the beautiful work of art that is her home, where she, her three children, and her husband live a life infused with music and drama! M.Sc. Thesis project: Theatre for Health: “Playing” the price of colonialism on the health of Indigenous peoples in Saik’uz Territory. Theatre for Health explores the use of theatre to ameliorate the effects of anti-Indigenous racism on the health of Indigenous peoples in Saik’uz Territory.